41 only final clearout ! Paradigm AMS-150R-SM 3-Driver Stereo Single Speaker Innovative design, advanced materials and the latest design techniques have made Paradigm the international leader in loudspeakers. From the best-selling Performance series to the sensational Monitor series, stunning subwoofers and incredible wall-mounted speakers. Paradigm speakers set the standard for superior sound, exceptional acoustic accuracy, wide dispersion, ultra-low distortion, significant spatial, precise positioning, enhanced deep bass and stunning dynamics. Paradigm loudspeakers are recognized worldwide for their exceptional sound. 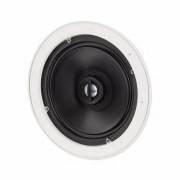 Paradigm AMS-150R-SM 3-Driver Stereo Single Speaker is a great ceiling speaker that has great sound and great quality. Bracket covers the entire perimeter of the column Unlike typical mounting ears, The brackets cover the entire diameter or height and width of the acoustics chassis by effectively reinforcing the area around the mounting hole. Ferro-liquid damping and cooling. 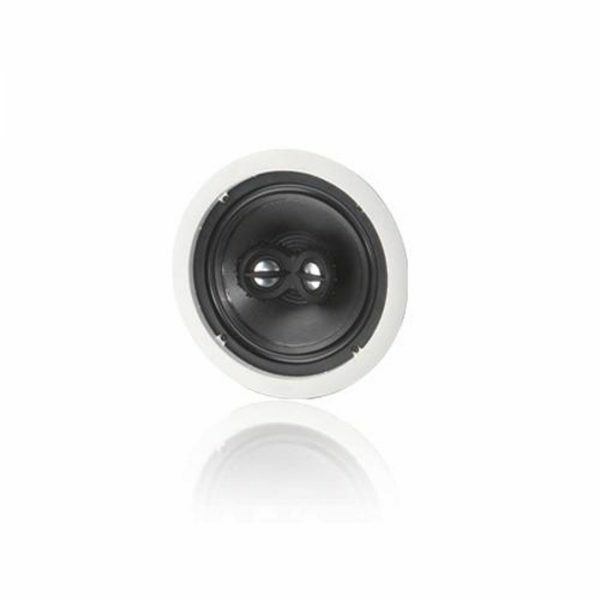 The dome tweeter is low mass and is treated with a textile suspension, which gives exceptional rigidity. Extremely uniform and instantaneous power response. Expanded polypropylene copolymer cones have increased power. Large, optimized magnets facilitate natural and detailed sound reproduction with outstanding extended bass. High-pressure cast chassis and mounting brackets (optional) will reduce resonances and stray waves, and aluminum will play the role of a double heatsink. Ferro-liquid damping and cooling. The dome tweeter is low mass and is treated with a textile suspension, which gives exceptional rigidity. Extremely uniform and instantaneous power response. Expanded polypropylene copolymer cones have increased power. Large, optimized magnets facilitate natural and detailed sound reproduction with outstanding extended bass. High-pressure cast chassis and mounting brackets (optional) will reduce resonances and stray waves, and aluminum will play the role of a double heatsink. Ferro-liquid damping and cooling. The dome tweeter is low mass and is treated with a textile suspension, which gives exceptional rigidity. Extremely uniform and instantaneous power response. Expanded polypropylene copolymer cones have increased power. Large, optimized magnets facilitate natural and detailed sound reproduction with outstanding extended bass. High-pressure molded chassis and mounting brackets (optional) will reduce resonances and stray waves, and aluminum will play the role of a double heatsink. Extremely uniform and instantaneous power response. Expanded polypropylene copolymer cones have increased power. Large, optimized magnets facilitate natural and detailed sound reproduction with outstanding extended bass. High-pressure molded chassis and mounting brackets (optional) will reduce resonances and stray waves, and aluminum will play the role of a double heatsink.